A complete guide to teaching students the key elements of a story when reading. What makes up a story? And how do we identify those elements? Developing a solid understanding of the elements of a story is essential for our students to follow and fully comprehend the stories they read. However, before students can understand how these elements contribute to the overall meaning and effect of a story, they must first be able to identify the component parts confidently. So, what are these elements then? For the purpose of teaching our students, we can usefully divide these elements into two groups. The first group comprises the basic components of a story and is generally taught to elementary and middle school students, while the second group consists of more complex elements taught to more advanced students. Though the elements identified below provide a comprehensive overview, they are not an exhaustive analysis of every possible element of a story. Setting: A story's setting refers not only to the physical location, but also the time the action takes place. It is the where and the when of a story. Character: Depending on the nature of the story, characters are most often people or animals. Writers use characters to perform the actions and speak the dialogue of a story. They move a story’s plot forward. They are the who of a story. Plot: The plot relates to the events that happen in a story. Plot can be further divided into sub-elements such as: introduction, rising action, climax, falling action, and resolution. It is the what of the story. Plot usually begins with a problem and ends in the story’s resolution. Conflict: Every story worth its salt requires conflict. This conflict can be thought of as a challenge or problem that drives the action of the story. No conflict, no story. Setting up a series of cause and effect events, conflict gives these events their why. Theme: a little more abstract than the previous elements, the theme refers to the underlying insight, the moral or idea that the writer is expressing through the story. It is often thought of as the ‘message’ of the story. When students have gained sufficient experience in recognizing these basic story elements, they can then begin work on the more advanced story elements, regardless of their age. Let’s take a brief look at four of these more advanced story elements. Point of View: To identify the POV in a story, students must ask “who is telling the story?” Is it a first, third, or even second (rare!) person narrator? Are they omniscient or limited in their perspective? Does the perspective shift between different characters? Tone: A writing’s tone is established through word choices, use of literary devices, grammar, rhythm, and rhyme etc. Tone is the overall ‘flavour’ of the story that is created by using all of these techniques combined. It is the attitude the writer displays towards their subject or theme. Style: Related to tone in many regards, style is the individual author’s unique voice and it is again evidenced in their word choices, plot patterns, sentence structures etc. The writer’s personal style is a strong contributor to a writing’s tone. Mood: This is about the effect the writer creates in the reader and how they evoke it through their use of language. These more advanced elements are a little more difficult to define than those on the basic list and therefore can be confusing for students who are new to them. All these elements pertain to how words are used; but style also pertains to the purpose of the text, tone to the author’s attitude to the subject, with mood being concerned with the reader’s attitude to the subject. Why Are Story Elements Important? There are many reasons students need to be well-versed in identifying the elements of a story, not least of which is the deeper levels of comprehension and enhanced appreciation this brings. Understanding how a story is organized is necessary for students to access the highest levels of comprehension of that story. Understanding how a story is organized also provides students with a frame of reference that greatly assists with recall. Often important, especially where exams are concerned, the implications here for subjects outside the English classroom are obvious too. Being familiar with the various elements that combine together in good storytelling also helps students in their own writing. It helps students to organise their thoughts and to competently weave together the various threads of their own stories. No small feat for an experienced writer, let alone a novice! Getting to grips with the various elements of a story begins very early on with the first stories children hear. Often even before they begin elementary school. Students will have learned to identify the basic elements in stories by answering simple questions about the people in the story and the events that happened. As students grow confident in identifying the key elements in their favorite stories, they begin to move on to more complex stories. They begin to recognize the more complex elements that require more advanced critical thinking skills. In their simplest forms, activities to aid students in identifying story elements start with the answering of basic guided questions, before students begin to move on to more focused reading activities, a few of which we will take a look at here. Graphic organizers are a great way to assist students in extracting the elements of a story and organizing them in a visual way that helps them to comprehend the story better. They can further assist students in recall, retelling, and summarizing. One of the best suited graphic organizers for identifying story elements is the story map. Story maps help students to organize the elements of the story in a visual manner that assists in gaining that fuller comprehension. Students examine the assigned text and extract the information related to each element. They can then record this information on their copy of the story map. Story maps easily lend themselves to being differentiated, as the teacher can select the elements most appropriate for the age and ability of the students. In the beginning, students should gain experience identifying the basic elements in simple stories - fairy tales for example - before moving on to more sophisticated stories employing a wider range of elements. Practice in the use of story maps will see students developing the ability to efficiently summarize the characters, setting, theme etc of any reading material instinctively. Story maps can also be used as a valuable prewriting planning exercise. Eventually, in regards to reading, students will be able to identify a story’s elements naturally, without the aid of a story map or graphic organizer of any sort - though this option will always remain for those who require the additional support a story map offers. As we have noted, for the advanced student there are a lot of different component parts of a story to identify and work with. We could isolate each element and build a series of discrete lessons around each. The possibilities are endless and it is obviously impossible to cover every possibility here. However, it is worth taking a look at three more general activities to ensure students get an overview of story elements and how they work. This simple activity is a fun way for students in a group to review material they have recently read. It begins with a student rolling a die or dice. The number they roll corresponds to a list of questions on each story element. For example, the student rolls a 3 which corresponds to a question on setting, such as Where and when did this story take place? The student then answers in as much detail as possible with reference to the text. This activity can easily be differentiated by increasing the number and complexity of the questions, as well as by broadening the range of elements included. More than one question about each element can be included too. This activity works well with students working in pairs. Each student has a copy of the story. The various story elements are written on pieces of card: character, setting, mood, tone etc. Students take turns picking out a piece of card, making sure their partner does not know which element they have selected. They must then read a brief extract from the story that corresponds to that element. Their partner must attempt to identify the element. When their partner has successfully identified the story element, it is then their turn to pick a card. This activity works best for recording the sub-elements of plot, such as: exposition, rising action, conflict, falling action, climax and resolution. The storygraph works as a straightforward graph with the various elements above listed on the x axis, according to their chronological appearance in the text. The y axis represents excitement, with the most dramatic points plotted higher. Students plot these points for each element. For example, the exposition of the story (usually corresponding to the setting of the scene, introduction of the characters etc) will be plotted quite low in the excitement stakes, with the excitement gradually rising to the crescendo of the climax before dipping slightly for the resolution. 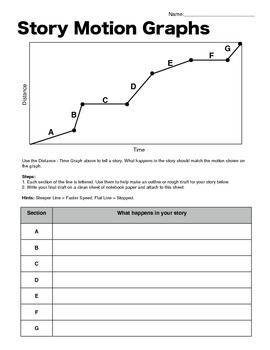 Students can further label these points on the graph with details of the corresponding events in the story. And so our own story draws to a close, but let’s review the take-aways so that our students can really live happily ever after - at least as far as story elements are concerned! When we drill down into how stories work, there are a lot of elements at play. For students to comprehend a story they must develop an understanding of how the major elements interact. To do this, they will need to first be able to identify these elements accurately. This will require practice in the form of discrete lessons on story elements which are progressive in difficulty. The ideas on story maps and other activities above represent a good starting point for these discrete lessons. But, it is crucial to reinforce this learning through reference and repetition in other lessons, where the main focus is not on the elements of a story themselves. There is no magic at play here, just practice, practice, practice. All very element-ary, my dear teacher!